Appalachian ash has sapwood that is light colored to nearly white and the heartwood varies from greyish brown to light brown, to pale yellow streaked with brown. The wood is generally straight grained with a coarse uniform texture. The degree and availability of light colored sapwood, and other properties, will vary according to the growing regions. Distributed throughout Eastern USA. Good availability as lumber and veneer. The lumber is often classified according to growing regions and marketed as Northern ash and Southern ash. 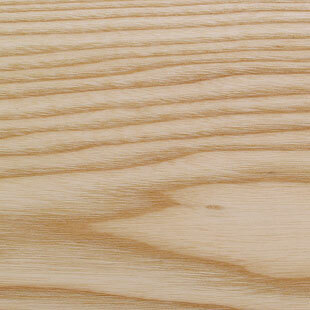 It is sometimes separated for color and sold as white ash (sapwood) brown ash (heartwood). American ash can comprise a number of commercial sub species and is available in a wide range of grades and specifications as lumber and veneer. Note that white ash is the commercial name for Fraxinus americana.